It’s here! 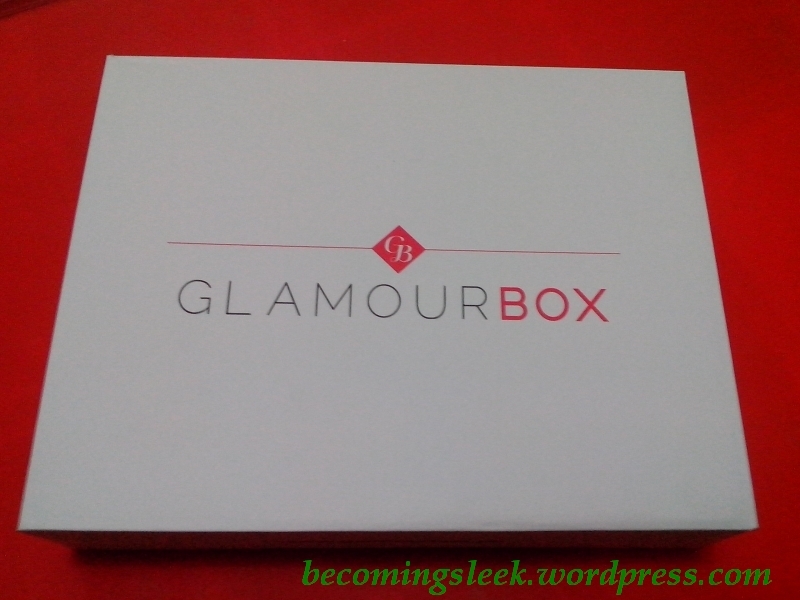 My first ever Glamourbox has arrived, and I am very happy to finally be able to try it out. 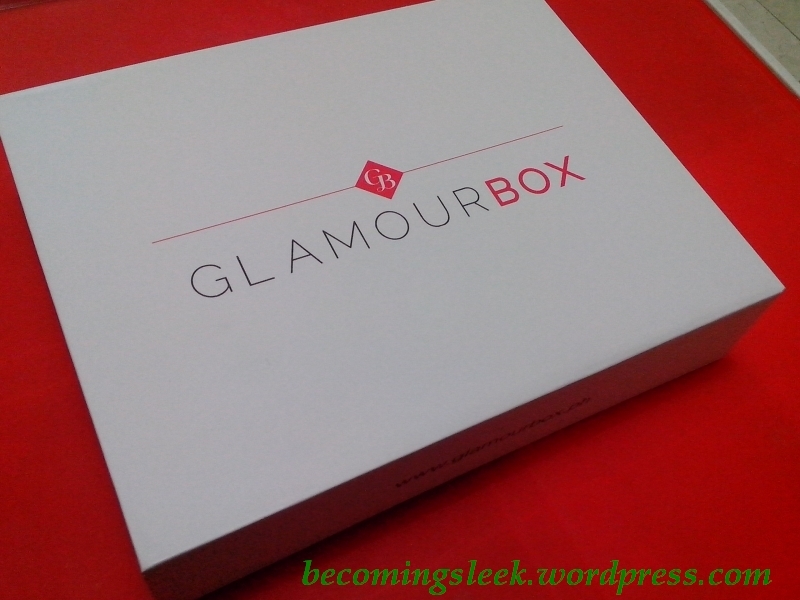 Glamourbox is very popular, and of very limited release, and thus it’s very hard to get a subscription if you haven’t gotten one yet. I got lucky for the February subscription opening, and was able to grab myself one. A few weeks later, it finally arrived. It came with it’s own brown courier box, and inside is this wonderfully sturdy white box. It’s made of hard cardboard and looks very sleek. It’s also a lot bigger in size compared to the BDJ box. The lid is a little loose, so I have to be careful when picking it up from the table. I absolutely love containers, and this is one of the best boxes I’ve encountered yet. When you open the box, you’ll be greeted with this. 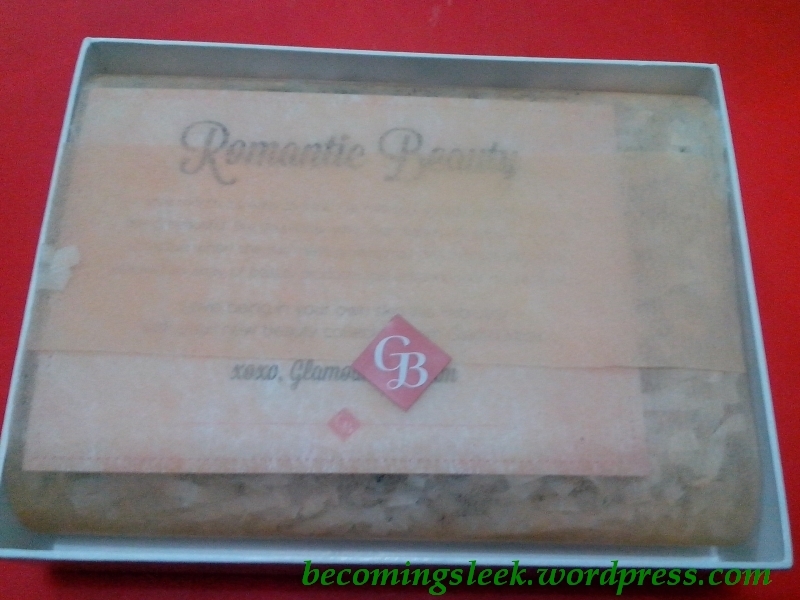 A fabric paper outer wrapping with the GB sticker opens up to a welcome card from the Glamourbox team. 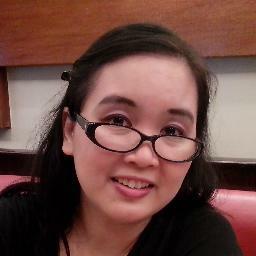 If I am not mistaken, this month’s theme is “Romantic Beauty”, and the products will reflect this theme. What’s under the card? You can’t really see much from this. Most of the products are covered by the paper confetti, and all I can see at this point is a non-beauty product. Let’s remove the confetti and find out the surprises. The first product is Kji&Co Emergency Lash RX, a lash serum that protects new lashes from cosmetic and environmental factors. I’ve never heard of lash serums, and before this I never thought my lashes needed protecting! The cap opens up to a narrow brush, and I have yet to discover how to apply this to my lashes. This is a very intriguing product! This looks to be full sized, and the welcome card says this is 2ml and is worth Php1350. 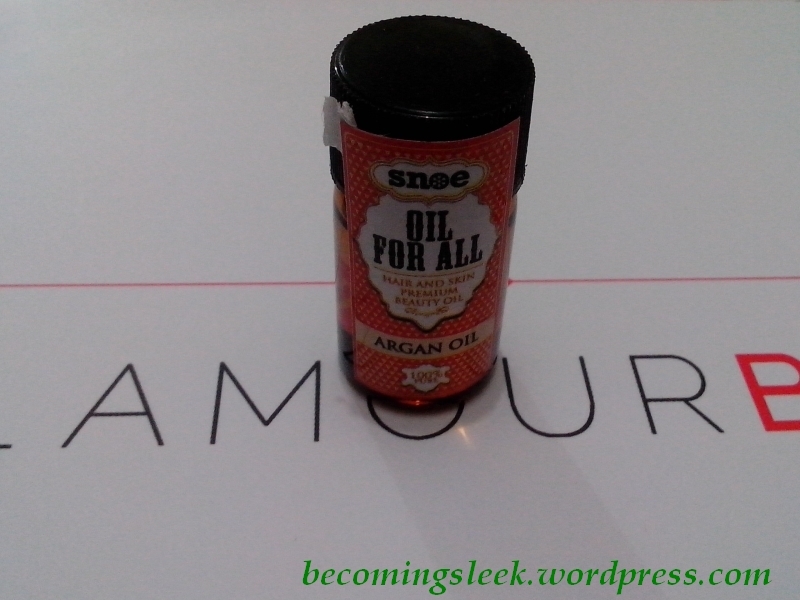 Next we have Snoe Oil For All Argan Oil. 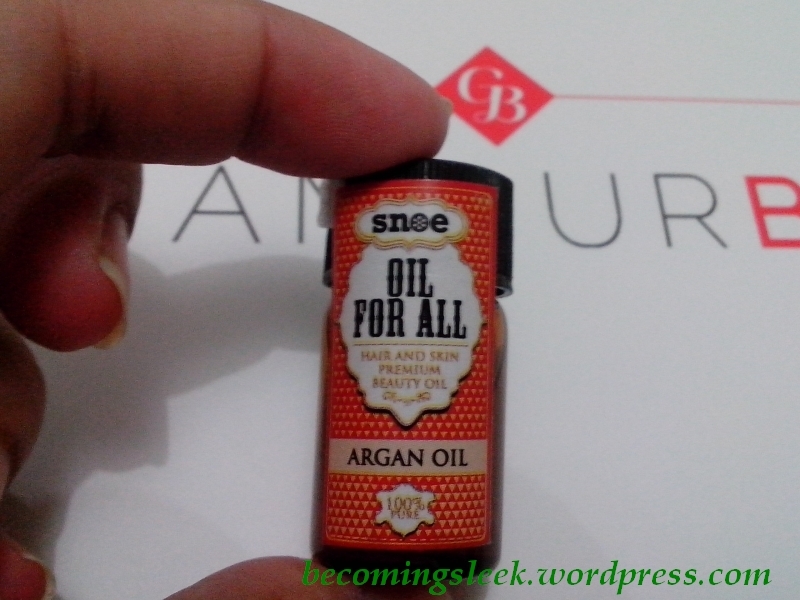 I’ve heard a lot of good things about argan oil. Argan oil is supposed to have great anti-aging benefits to skin and hair. It’s a tiny bottle though so I’m hoping there’s enough of it there to fully test out the claims. The full size of 25ml costs Php799. 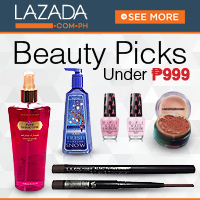 I think this bottle is at most 5ml, which would put the worth at around Php160. 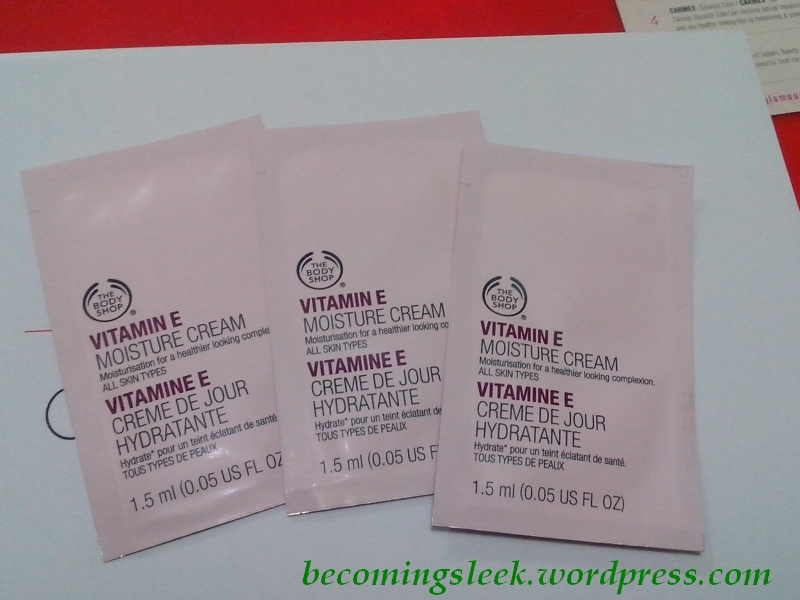 We next have three 1.5ml sachets of The Body Shop Vitamin E Moisture Cream. It’s a little sad that they just gave us sachets (there’s something a little distasteful about sachets, don’t you think? ), but I’m hoping that three would be enough to test it out properly. There’s nothing mysterious about this product, it’s supposed to be a moisturizer. The full size of 50ml costs Php695 (which means this sampler set costs about Php63). 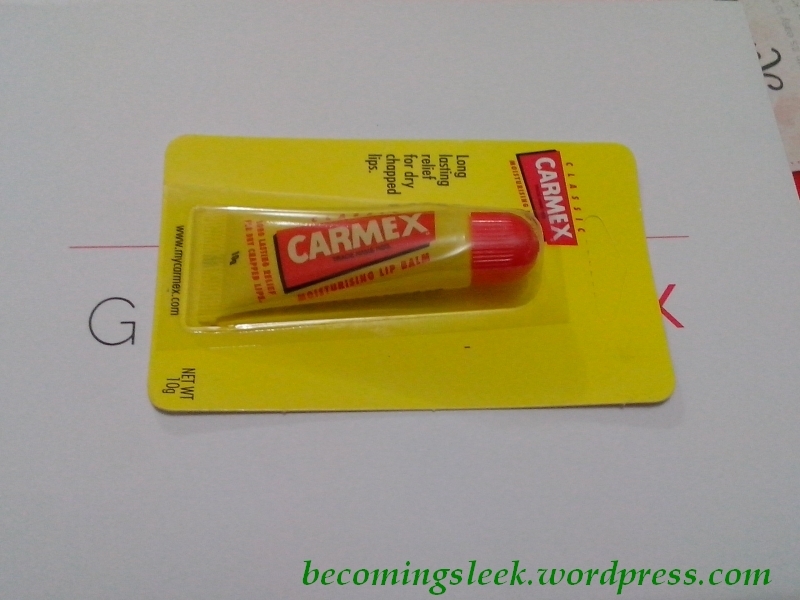 I also got a Carmex Lip Balm. This rendered me speechless for a few moments. 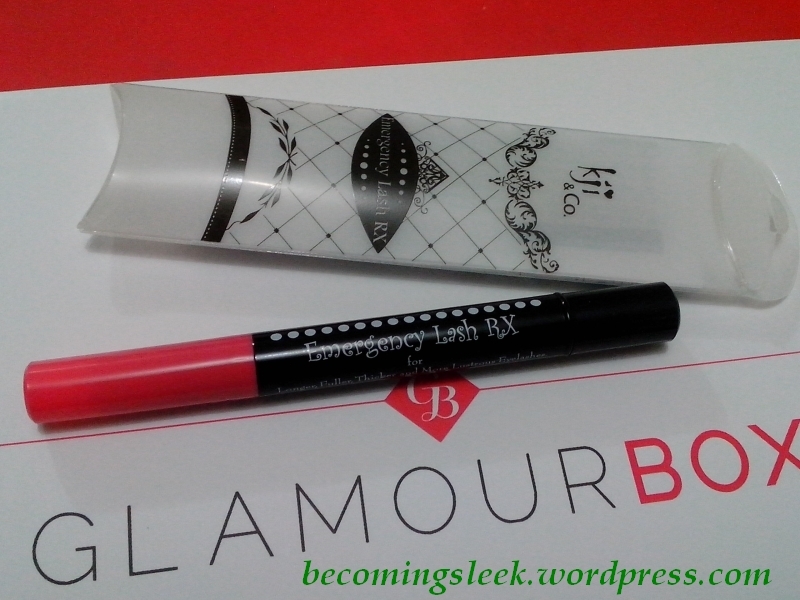 A supermarket lip balm in Glamourbox? It seemed very out of character for a premium subscription box, especially considering their past boxes. I honestly felt a little sad receiving this. 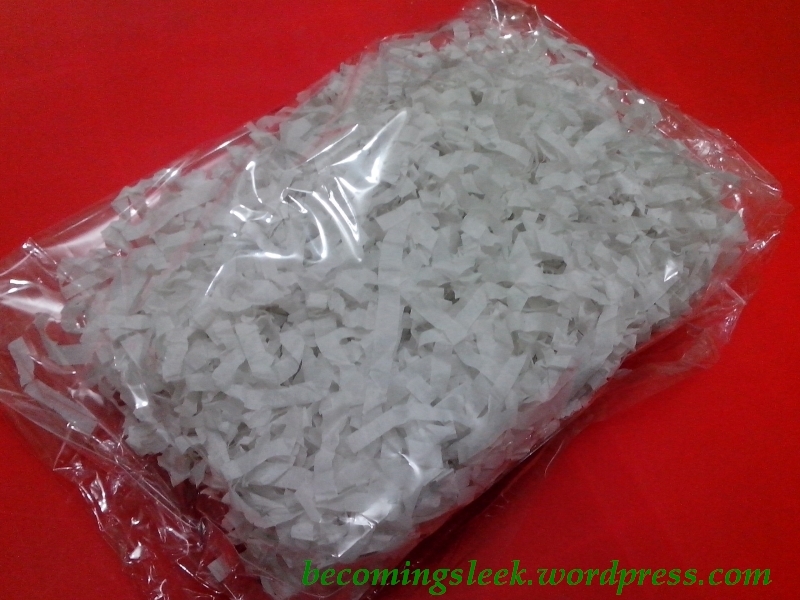 This is a full sized product 10g for Php109.75. 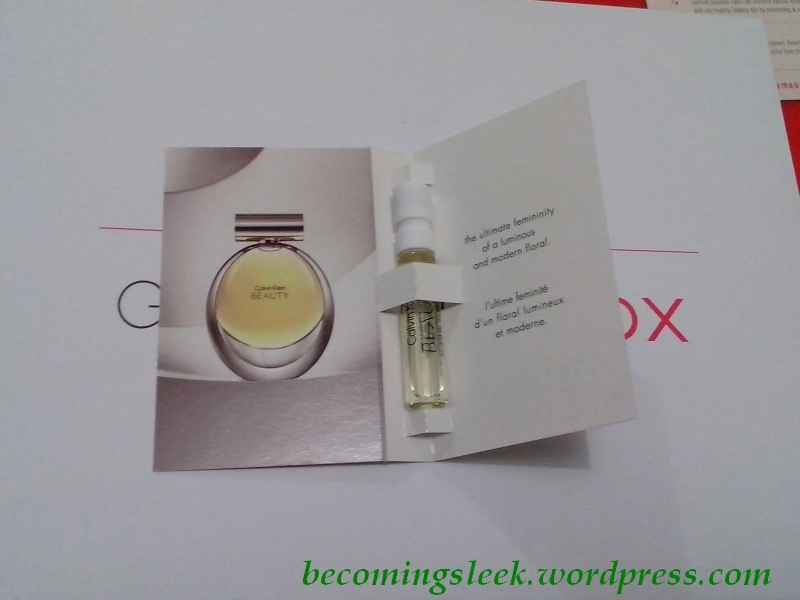 Lastly we get a Calvin Klein Beauty fragrance, which I’ve already received from the November BDJ Box and reviewed here. I’m not really averse to getting another tube of this since I liked it, but maybe I would have preferred receiving another kind or brand of fragrance. The full size of 100ml costs Php5498, which means this 1.2ml sample costs about Php66. But wait, what’s this? I get a bonus item (which I already saw at the beginning of the unboxing) and a couple of vouchers. 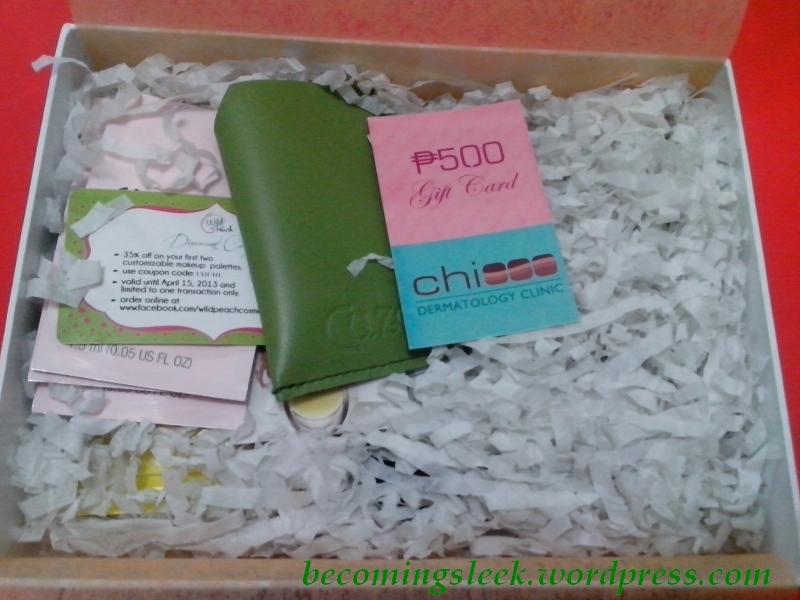 It’s a card holder from Cuzo, and vouchers from Chi Dermatology Clinic and Wild Peach Cosmetics. Not bad for extras. 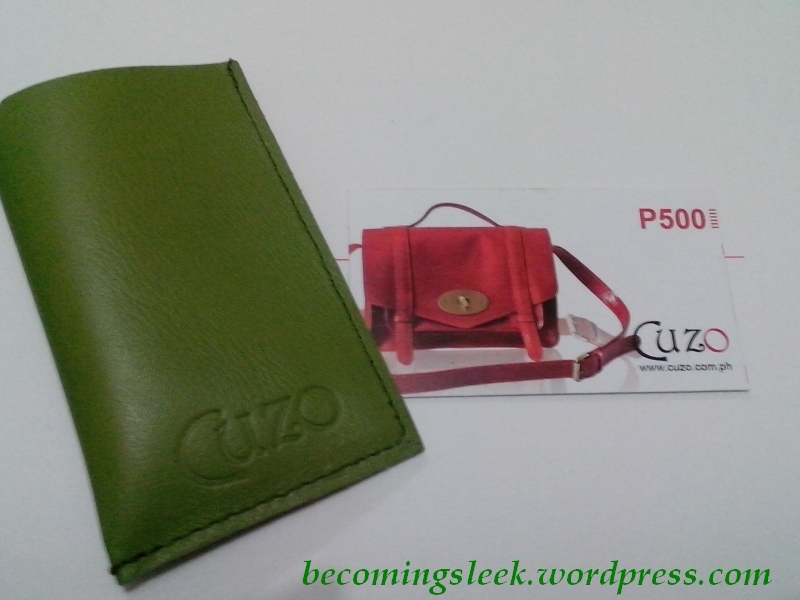 And inside the Cuzo card holder is another voucher! This one is from Cuzo as well, and a pretty generous discount voucher at that. 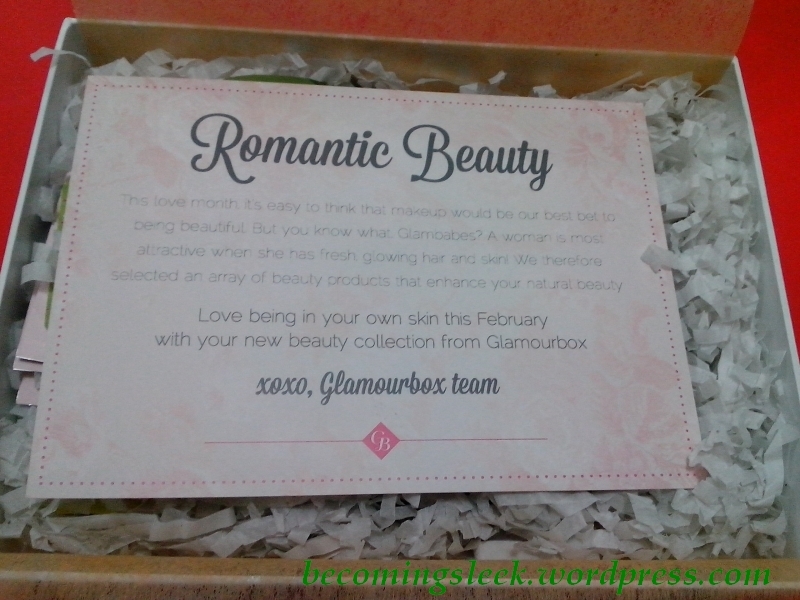 My impressions of the Feb Glamourbox: I’m very happy to finally be able to try out the other beauty subscription box, and I am very impressed with the box itself. I have mixed feelings about the contents though. 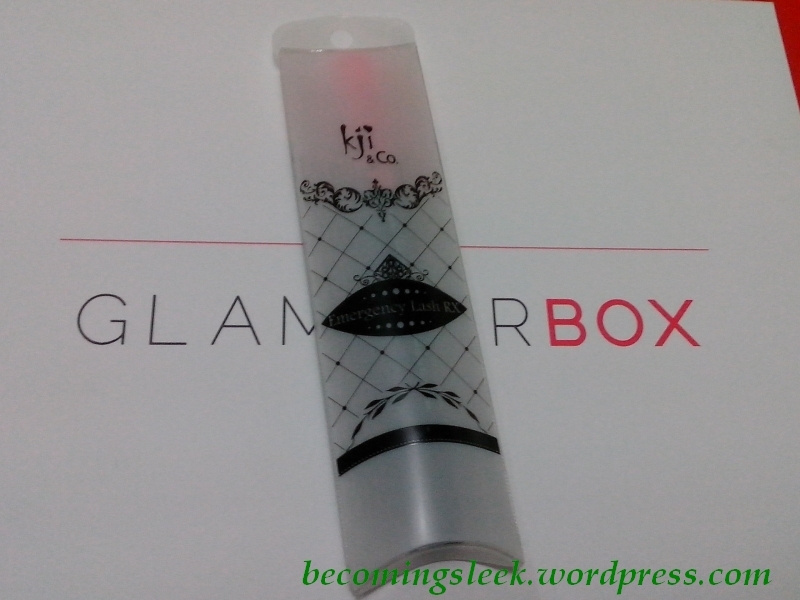 I’ve developed a high expectation for Glamourbox from the reviews of the previous months’ boxes, and this box seems a bit…lacking. On the other hand I did receive things that I haven’t tried before (lash serum and argan oil), which at least serves the original purpose of such beauty subscription boxes. 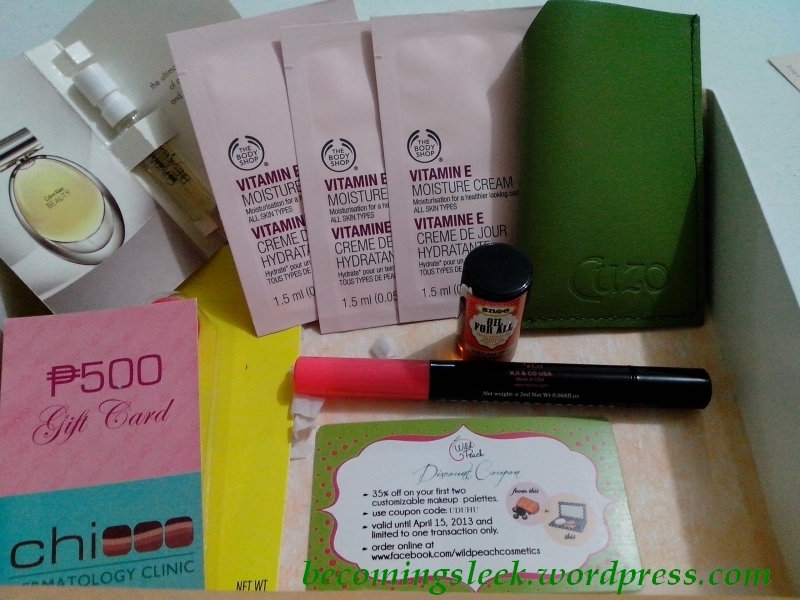 Value review: The contents of the box comes up to approximately Php1749 not including the card holder and voucher values. 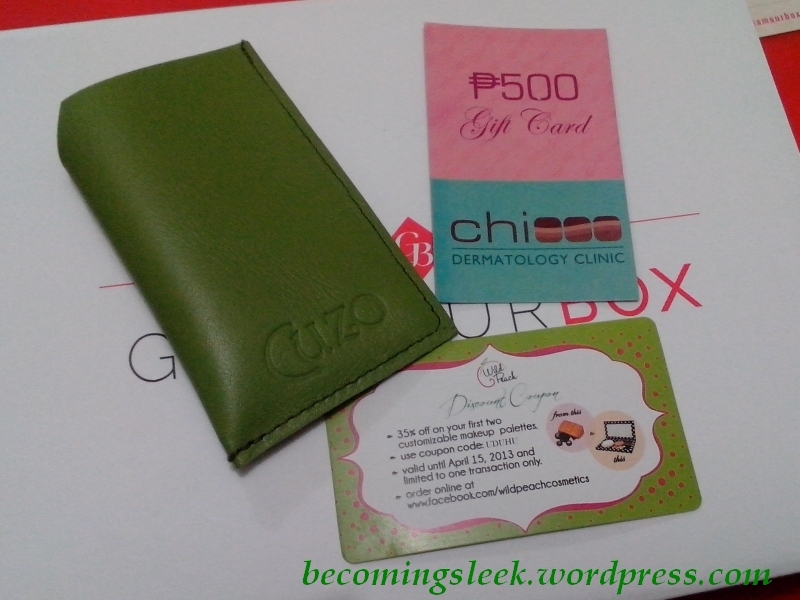 I paid Php595 for the subscription, so I did get my money back at least, and I get a handsome box too. I just have to mention this though. I am surprised by the amount of paper confetti in this box. I suppose this is due to the size of the actual box compared to the contents, and the confetti is needed to cushion the contents against rough handling during transit. Will I continue the subscription? I think so. Glamourbox is still a highly reviewed subscription, and I would like to believe that this is just an unfortunate timing in my sense because of the inclusion of Carmex and CK Beauty. Overall I’m still happy with it, and I will continue to feature Glamourbox as long as I can keep my subscription running.